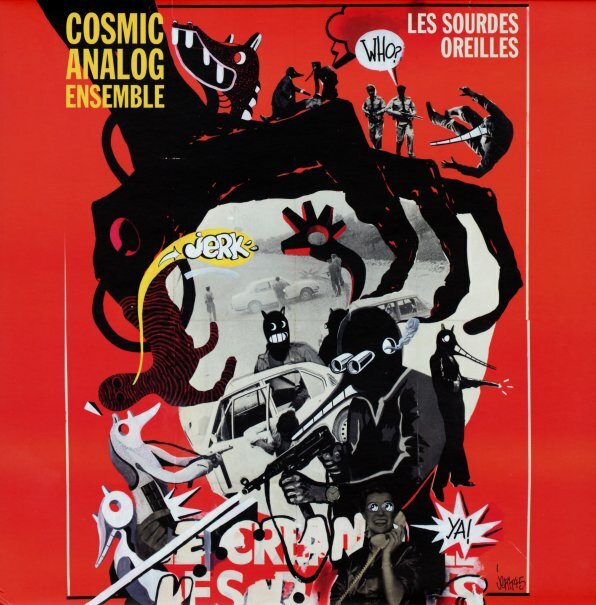 This "ensemble" is really just one guy – Charif Megarbane, who recorded the whole album in Kenya – working together a fantastic array of sounds on drums, percussion, guitar, Fender Rhodes, Farfisa, flute, vibes, oud, and a number of other instruments too – all with a mighty nice sound that's as sinister as it is groovy! The album mixes together soundtrack funk, European exoticism, mod keyboards, and some more spiritual currents – all with a sound that's the best side of pastiche, without any of the usual crash and burn that might come about on a project handled without this much vision. The sound is wonderful, and very unique – never slavish to its influences, and instead really going for something new – on titles that include "Apres Vous", "Camille 3000", "A La Derive", "Pourparlers", "Les Sourdes Oreilles", "Al Mushtari", "En Faction", and "Le Dernier Mot". © 1996-2019, Dusty Groove, Inc.